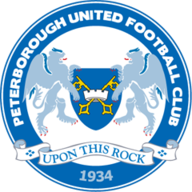 Blackpool failed to escape from the clutches of a second successive relegation as they were thumped 5-1 at Peterborough on the final day of the Sky Bet League 1 season. They arrived at the ABAX Stadium in need of a victory to stand any chance of dodging another drop while hoping that Fleetwood were beaten by Crewe. The dream was briefly alive as Jacob Blyth headed them into a 16th-minute lead when converting a Luke Higham delivery from the left. 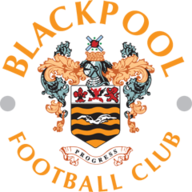 But news of two goals in the space of eight first-half minutes for Fleetwood crushed the hopes of Blackpool, and ensured the Tangerines will plunge from the Premier League into League Two in just five years. Blackpool were then on the receiving end of a Posh comeback which was inspired by substitute Jon Taylor's 12-minute hat-trick. Marcus Maddison levelled from the penalty spot three minutes into the second half after David Norris had hauled down Shaq Coulthirst. Taylor fired the hosts ahead two minutes after his 72nd-minute introduction before Coulthirst rifled past Colin Doyle moments later. Taylor rubbed salt into Blackpool's wounds with two more goals in the space of three minutes late on to complete his quick-fire treble, but Peterborough still had to settle for their lowest Football League finish for eight years - 13th in League One.